After being diagnosed with chronic leukemia, and a subsequent acute myelogenious leukemia diagnosis in July 2007, Diana Tirpak’s oncologist, Dr. Mary Laughlin, discussed the possibility of an umbilical cord blood stem cell transplant with Diana and her family. “At the time, I didn’t realize what a slim chance I had for survival,” noted Tirpak, who received her umbilical cord blood stem cell transplant on February 22, 2008. Diana, who worked as a school nurse for 29 years, has lived a full and active life since receiving her cord blood transplant. “We celebrate my new life each year on February 22. I am grateful for every day,” she said. Tirpak volunteers one day a week at an organization that helps support cancer patients and their families. She also volunteers for the Cleveland Cord Blood Center, sharing her story and talking about the importance of cord blood donation. “I want to make a difference, and share with others the gift of life that an umbilical cord blood donation offers,” she noted. Since her transplant, she enjoys walking and biking with her husband in the nearby national park, as well as spending time with her three grown children and her three grandchildren, two of whom have been born since the transplant. 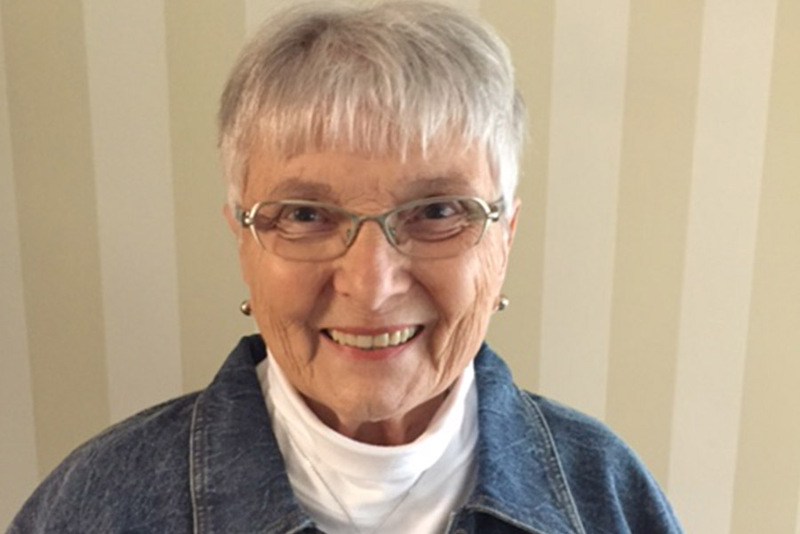 She fondly recalls when her grandson Adam, at seven years old, stood by her bedside and named the donating baby Mary Call in reference to the miracle of the cord blood that was going to make her well. She cherishes the fact that she has had the opportunity to see Adam grow up to become the fine individual he is today. “I would like more people to know about cord blood and how it can help people like me have a second lease on life,” she concluded.